Donald Trump spoke at a campaign rally in Pittsburgh. You might think Republicans looking at a bid for office this year would be reconsidering their prospects — especially those running in a swing state like New Hampshire. 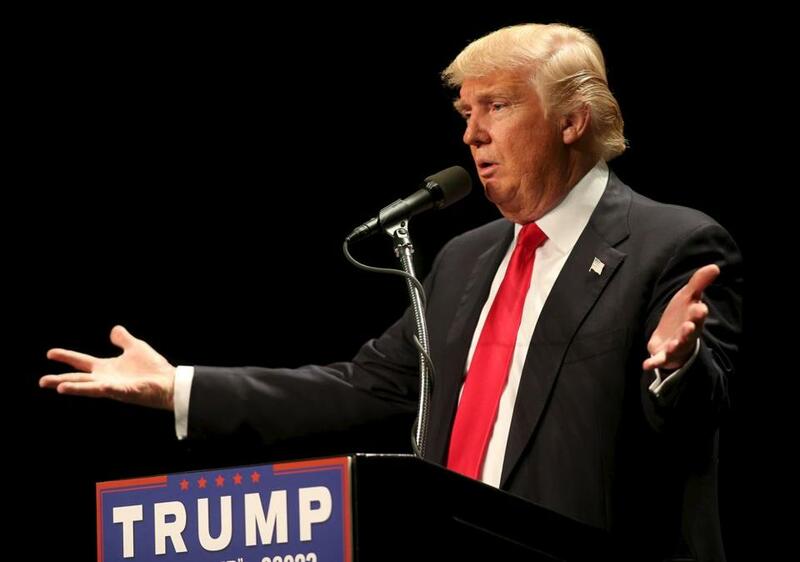 New York businessman Donald Trump remains the most likely candidate to be the Republican nominee. Polls show he could be the most unpopular general election candidate for president in modern political history, with 67 percent saying they view him unfavorably. As a result, many national Republicans fear a Trump nomination could affect their down-ballot races — and perhaps even give Senate Democrats the majority. A Trump downgrade could have an even greater impact further down the ballot on races that are usually less known to voters. But that has not stopped Rich Ashooh, a New Hampshire Republican running for Congress in the state’s First District. “The presidential race was honestly not a factor for me at all. It is just not my nature,” said Ashooh. “I am running because we need to restore fiscal responsibility to Washington as well as be strong on national defense. Ashooh isn’t the only New Hampshire Republican to announce a run for major office in recent weeks. In the governor’s race, the Republican field doubled last month when two more candidates jumped into the open race for governor. Those two — Manchester Mayor Ted Gatsas and state Senator Jeanie Forrester — had passed on running in previous years that might have given Republican candidates better odds. “What I’ve seen across the board is that many candidates simply don’t have a good ability to anticipate the political conditions or climate of the year,” said David Wasserman of the nonpartisan Cook Political Report. It happened to Republicans in 2012. At the time, Republicans argued that former Massachusetts governor Mitt Romney would have a shot in New Hampshire because he had a home there and was from the neighboring state. But in November of that year, Republicans lost all of the major races in New Hampshire and President Obama carried the state in his reelection bid. To be sure, there’s a chance Trump might not be the GOP nominee. He’s suffered some recent losses in the delegate race, and it’s increasingly likely Republicans will have a brokered convention with more than one round of voting. But the next most likely nominee, US Senator Ted Cruz of Texas, who is in second place in the delegate race, does not score much better in national polling against a Democratic nominee. US Senator Kelly Ayotte doesn’t plan to attend the Republican National Convention. 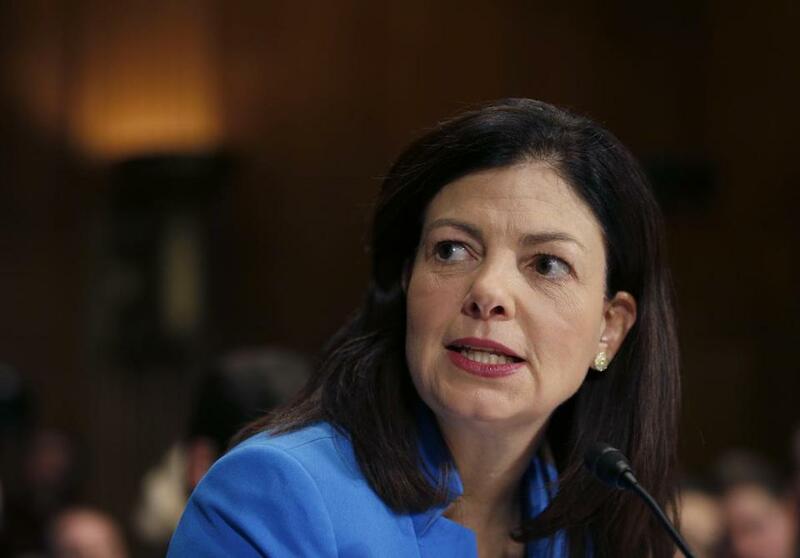 The rise of Trump and Cruz could affect the future of US Senator Kelly Ayotte, the New Hampshire Republican up for reelection in November. Ayotte has been careful to not appear publicly with Trump and doesn’t plan to attend the Republican National Convention. But she’s also said she would support the Republican nominee, even if it is Trump. In the past she has criticized Trump for certain comments on the campaign, but she is also not closely associated with the national Never Trump movement. There are other Republicans in the region launching campaigns despite Trump’s looming position on the top of the ballot. Karen MacBeth, a Rhode Island state representative, not only announced she would run for Congress in the state’s First District this month, but she also switched parties to become a Republican. MacBeth suggested that she was influenced by Trump’s campaign in so far as seeing that voters were done with politicians. Still, is 2016 the year to become a Republican and run for Congress in a district that Barack Obama won with 66 percent of the vote in 2012? Don’t ask if MacBeth will vote for Trump in the Rhode Island presidential primary on April 26. She became a Republican after the deadline to change her registration in time to vote in the primary.